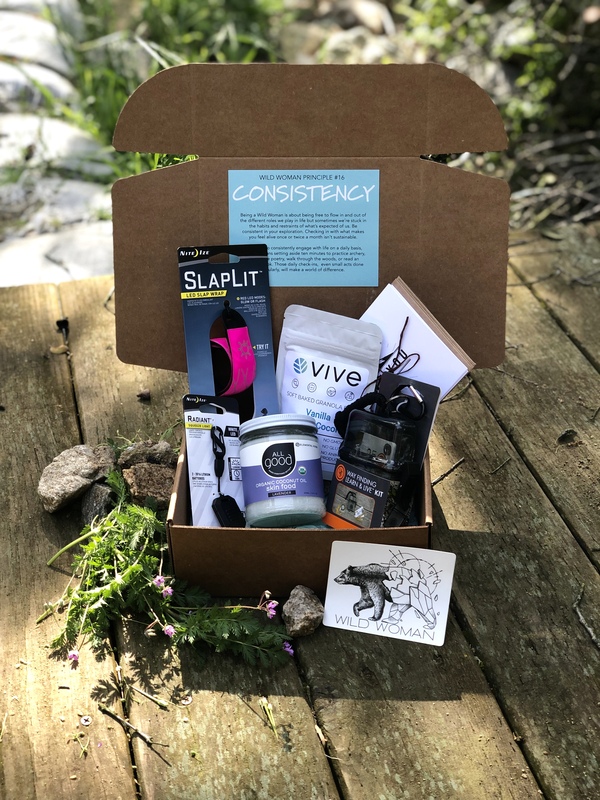 Make a one-time purchase of our April Wild Woman Box which includes; an LED arm band by Nightize, a Wayfinding Kit (including a compass) by UST, a set of mountain themed Thank You Cards by Erik Johnson Design, a full-sized jar of All Good's Skin Food, Granola Bites by Vive Snacks, a Squeeze Light Keychain by NightIze, a Wild Woman Sticker and Principle Card. Boxes always contain at least $50 in value! Order will ship in 1-2 days.